Washington State home buyers are fond of relocating to Maricopa County in Arizona. Have we got a home for you to look at! This 4 bedroom 3.5 bath home for sale in Anthem Parkside includes a separate casita and an office! Washington State buyers, the original owner has meticulously maintained this sought-after Majesty model with a separate casita. Main home features 3 bedrooms, 2.5 bathrooms and a den that could be easily converted to a fourth bedroom. The casita in this 4 bedroom 3.5 bath home for sale in Anthem Parkside is spacious – with a full bathroom, room for a bed and a small sofa. Light and bright, this home greets you with views to your own outdoor oasis as you enter this Anthem Parkside home. Two-tone paint and neutral tile make this home move-in ready. The family room, with it’s recently replaced carpet, has a large media niche and views to the refreshing pool outside. Master bathroom has raised vanities, dual sinks, garden tub, shower and a large master closet. The den, as you enter this 4 bedroom 3.5 bath home for sale in Anthem Parkside has a beautiful rounded set of windows and laminate wood floors. Out back of your soon to be 4 bedroom 3.5 bath home for sale in Anthem Parkside find your own resort for outdoor living, just what buyers relocating from the State of Washington are lookging for in a home! A pool built by Shasta with acrylic lace decking, pop up cleaning system and mature landscaping await you in this over-sized backyard. This home is served by Diamond Canyon Elementary School and Boulder Creek High School in the Deer Valley Unified School District. Call Kirsten Myers or David Myers at 623 551 1000. www.SoldByMyers.com for immediate information. Lot Size : 9,398 sq.ft. Original listing! Contact Kirsten Myers at SoldByMyers.com 623 551 1000 This 4 bedroom 3.5 bath home for sale in Anthem Parkside includes a separate casita and an office! – all in a single story home with a 2 car garage. Original owner has meticulously maintained this sought-after Majesty model with a separate casita. Main home features 3 bedrooms, 2.5 bathrooms and a den that could be easily converted to a fourth bedroom. The casita is spacious – with a full bathroom, room for a bed and a small sofa. Light and bright, this home greets you with views to your own outdoor oasis as you enter the home. Two-tone paint and neutral tile make this home move-in ready. Straight ahead are your formal living room and dining room with views to the backyard. As you make your way to the right, you are greeted by a spacious kitchen with raised-panel cabinetry and quartz-look Corian counters. Bisque appliances, smooth top range a spacious island with a bar make this a great place to cook while still being a part of the conversation. Off the kitchen, you’ll find the laundry room with additional upper and lower cabinets and a door, allowing you to close off your mess from the rest of your visitors. The family room, with it’s recently replaced carpet, has a large media niche and views to the refreshing pool outside. Spacious master suite is accessed via its own hallway and is at the back of the home with new carpet, two-tone paint, and views to the backyard pool. 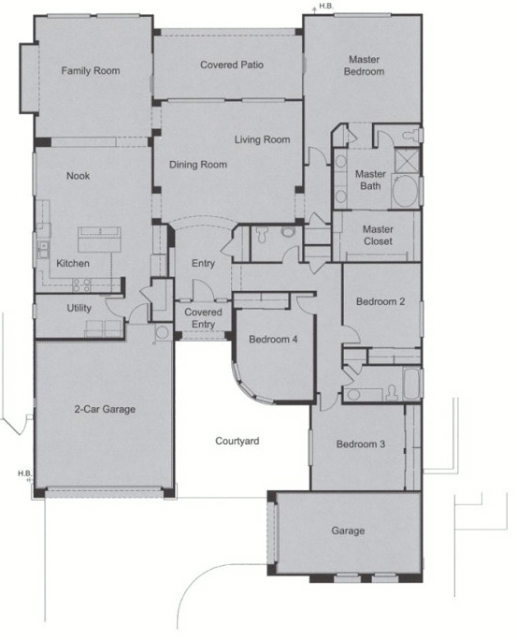 Master bathroom has raised vanities, dual sinks, garden tub, shower and a large master closet. The den, situated to the left as you enter this 4 bedroom 3.5 bath home for sale in Anthem Parkside has a beautiful rounded set of windows, laminate wood floors and a ceiling fan. Both secondary bedrooms are also equipped with ceiling fans and custom paint, the largest with two sets of closet doors and more than enough room for siblings who share spaces. Out back you’ll find your own resort for outdoor living. A Shasta-built pool with acrylic lace decking, pop up cleaning system and mature landscaping await you in this over-sized backyard. This home is served by Diamond Canyon Elementary School and Boulder Creek High School in the Deer Valley Unified School District. Call us to view this beautiful 4 bedroom 3.5 bath home for sale in Anthem Parkside. Contact the original lister Kirsten Myers or David Myers at 623 551 1000. www.SoldByMyers.com for immediate information.